Understanding the critical role that airports will play years from now and the sociocultural and technological shifts affecting airports today, experiential graphic design firm Entro has begun exploring the potential impacts of these developments in relation to wayfinding and branded environments. The company facilitated a series of group sessions with internal thought leaders and culled their experience working with innovative airports such as Changi Airport, Singapore; Chhatrapati Shivaji International, India; and Toronto Pearson, Calgary and Vancouver international airports in Canada. Entro identified three main drivers of change — the shift by airports toward the greater adoption of the principles of hospitality; the continued focus on efficiency; and a new focus on personalization as part of the passenger experience. In response to these drivers of change, Entro has proposed wayfinding design strategies around technology, the passenger journey, and airports as destinations. In this two-part series, PTW will reveal Entro’s thoughts, beginning with strategies around technology. Technology – what design problems will need to be solved? Modern society has witnessed how rapidly advancements in technology occur, and the universality often encoded in technological change. Remembering that there will always be individuals who opt out of technology-related services and that their wayfinding experience must also be taken into account, here are some of the technological advances that are believed to present opportunities for airports. Entro predicts that in the future, universal airport applications will provide a common experience to users no matter where they are in the world. A good example already in existence is the Uber app, which provides users with the same experience worldwide, regardless of location. This includes upfront travel costs and ETAs, an easily accessible car menu (UberX, UberPool), and personalized choices based on habit. Currently, geolocation services like Google Maps capture exterior spaces, however, the technology is quickly being adapted to public interiors. In an airport environment, this technology will become a universal tool that provides mobile users with contextual or directional information in a familiar format. Given this context, universality presents a challenge for airports: specifically, how can their individual character be retained? Another anticipated change is biometric scanning. While used in a limited way today, in the future it might become commonplace for airport security. This is likely to affect the interior structure or layout of airports, the expediency of security processes, and ultimately the flow of a user’s journey. Furthermore, there will undoubtedly be evolutions in industrial design that will have an impact on signage and display materials and technology. These advancements may encompass everything from new lighting products; alternative methods of applying graphics; refinements to base materials such as aluminum, acrylic, or stainless steel; to changes in digital technology, for example screens that are thinner, smaller and faster. Any significant change is likely to influence signage design decisions. Though the technology may change, the fundamental principles of any signage and wayfinding program will not. For a signage program to be successful, all signs in the program need to be part of a holistic system that provides the right information at the right time. Entro considered several strategies to address these changes. 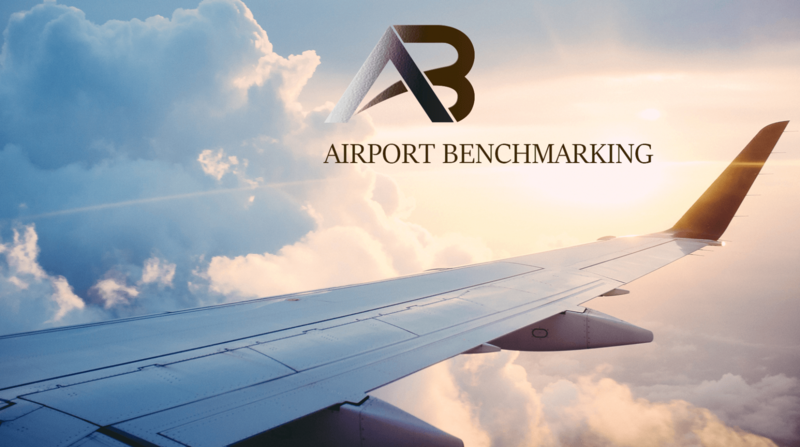 The following are by no means exhaustive, but represent some very practical and effective approaches that can be considered in the preliminary stages of airport design. These considerations and strategies can empower a partnership between owners, architects and consultants in the planning and development of airport spaces. Leveraging digital kiosks – Digital airport kiosks could be leveraged to do more from a wayfinding perspective. Using geolocation technology, combined with customized or personalized information, kiosks could become wayfinding elements in and of themselves. For example, kiosks could provide relevant airport directional information specific to an individual’s flight when that person checks in. As physical structures within an airport space, kiosks could also become landmarks that cause passengers to pause for a moment, by referencing local culture, or creatively supporting an airport’s brand. Connectivity between devices – With the rise of the Internet of Things (IoT) it’s possible that this type of technology could be encoded into wayfinding signage. Whether signage components are static or digital, large or small, technology that allows devices to recognize one another could prove advantageous where it supports the program as a whole. For example, a haptic notification – which relies on touch or vibrations — might inform a visually impaired passenger of the correct path as they pass by a directional sign with a beacon installed. Alternatively, this technology could provide customized audio to a passenger’s personal device when they reach a certain area of the airport, minimizing public messages in the terminal. Preserving traditional wayfinding – Static signage in the airport environment will remain a key component of wayfinding. These types of signs will continue to be opportunities to highlight what makes a particular airport unique and to act as airport brand touchpoints. As physical reinforcements, they are also essential for the utility and function of the space since they apply to all types of users. When applied correctly, they can contribute to a positive user experience and brand impression. Customizing information in real time – Utilizing technology to provide passengers with customized real-time information will contribute to a more personalized travel experience. Customization could take the form of flight tracking information, destination weather conditions, secondary language messaging based on inbound and outbound flights, or engaging content relative to a passenger’s current or intended destination — with contextual content aligned with current flight data. Using large-scale screens for maximum visibility and placing them in appropriate, captivating locations, this customized information could offer peace of mind to passengers and reduce travel anxiety. At Gerald R Ford International Airport, Michigan, this strategy was applied to two key areas – at the primary security line and adjacent to the airport food and beverage area. In both instances, passengers are reassured of travel times and entertained by variable content. While advances in technology will be common between airports of the future, seamless passenger journeys and enjoyable, lasting experiences will set leading airports apart. In the second part of this two-part series, Entro will examine the changes to the sequence of events for passenger travel as part of the evolution of airports. Further to this, it will explore the shift from airports as simply departure or arrival points to true destinations and multi-modal transit hubs.